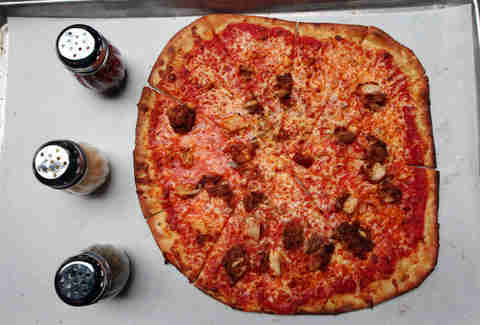 Piece’s pies are modeled after the ones they make in New Haven, CT, where the residents love 1) thin, homemade dough, 2) tomato-garlic sauce, and 3) sweater vests. And since this is one of the top 10 pizza places in Chicago, they're not just using one cheese (obnoxious eye roll! 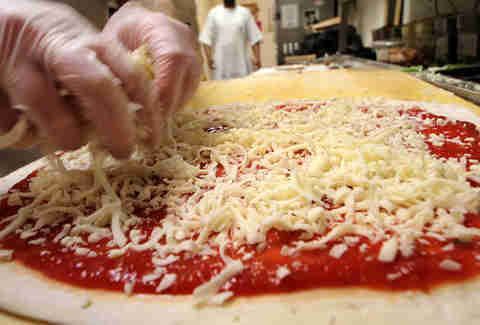 ), they're using TWO: mozzarella and Parmesan. 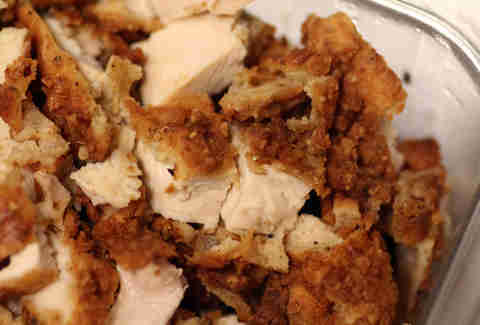 Then comes the juicy, fried chicken. 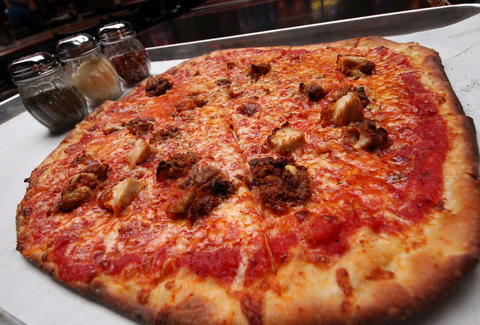 A large pie gets about 8oz of crispy goodness, which's been double-battered in buttermilk & seasoned flour and fried. 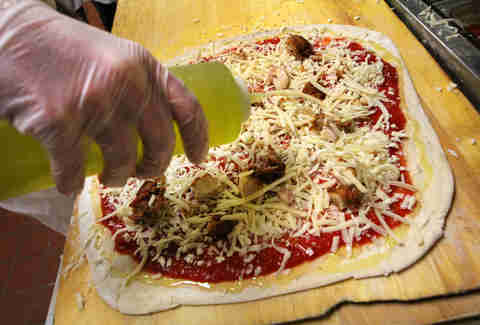 Olive oil gives the pizza its golden brown finish and texture. Then, once it's outta the oven, it’s hit with a few dashes of smoked paprika, and voila: fried mother-sexing chicken pizza.